I noticed that, for a guy who says he doesn't like Japanese food so much, I sure do have a lot of Japanese food entries in my blog. Well, I hope you don't mind if I added two more. 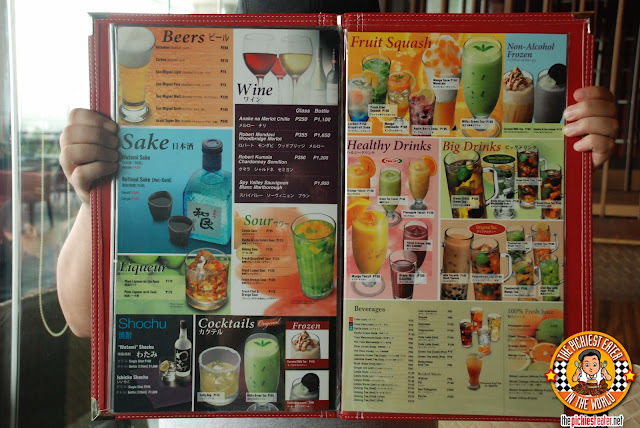 I found an amazing Japanese restaurant that caters to my heavily Western influenced palate. One of my greatest regrets, was last November, I was unable to attend the opening of Watami Japanese Casual restaurant, then the newest baby of The Bistro Group. 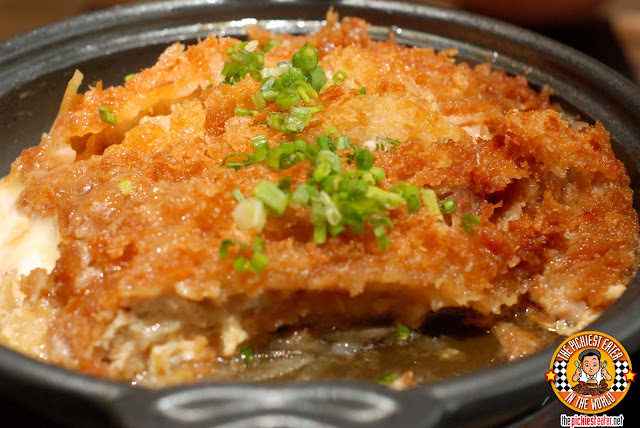 The following week, My blogger friends that were able to attend the event posted the most amazing photos of Japanese dishes that made my mouth water. Although I was aware that there would be a Glorietta branch opening early 2013 that was more accessible to me, I refused to wait any longer, and made a trek to Mall of Asia with one mission in mind.. Dine at Watami. 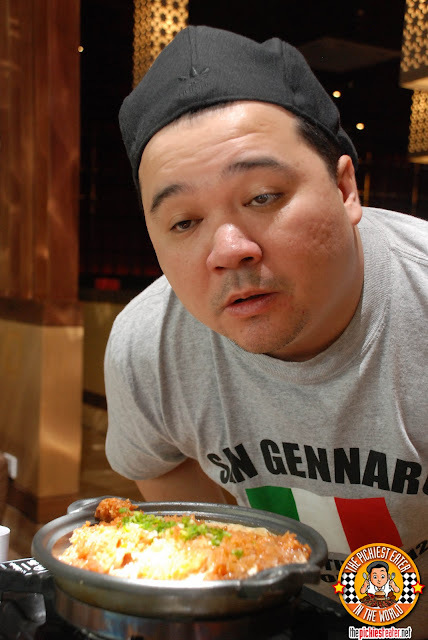 I work a few blocks from the popular Japanese Food Mecca known as "Little Tokyo", so one must wonder why I don't have a single post from any of the well known restaurants there. It's simple.. 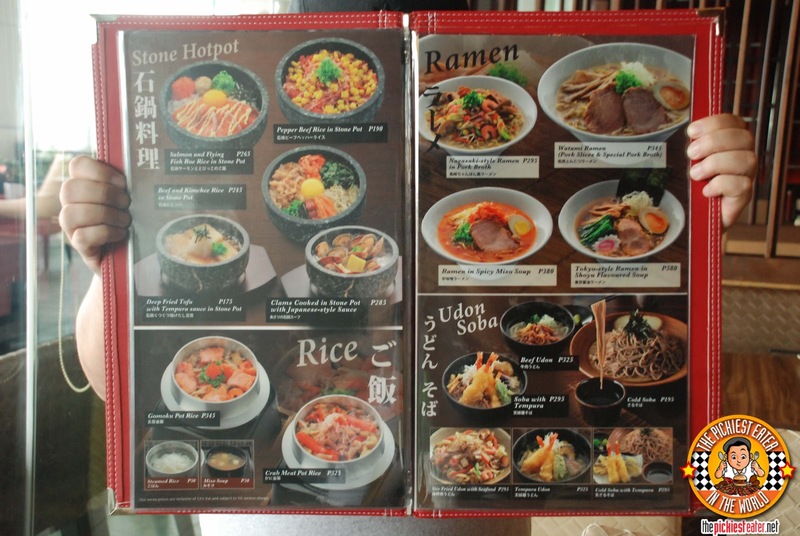 I find some of the dishes too weird, and a bit too expensive. I don't eat anything raw, I hate seaweed, and all the other dishes that I do eat (Teriyaki, Teppanyaki, etc), I find to be out of my price range. 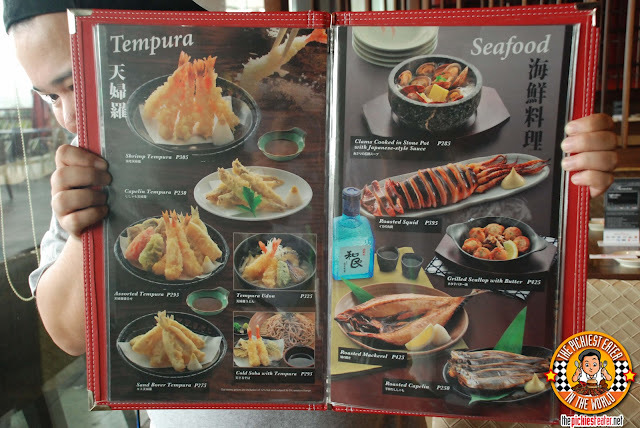 Though I do not doubt the value for money from the restaurants there, I was never really into Japanese Food in the first place, hence my reluctance. 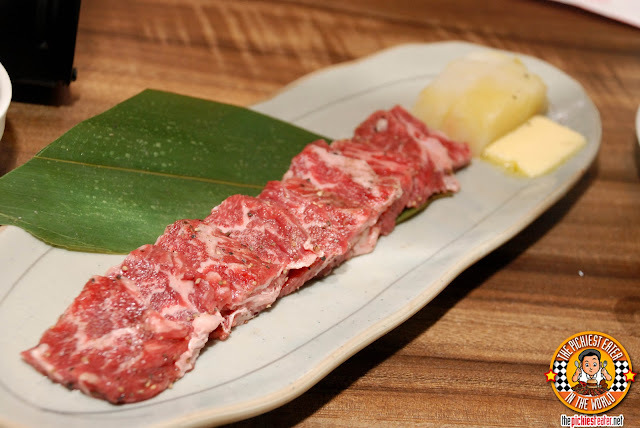 As other Japanese places in the metro scramble to declare themselves as an "Authentic" Japanese restaurant, Watami takes pride in being a "casual" one. 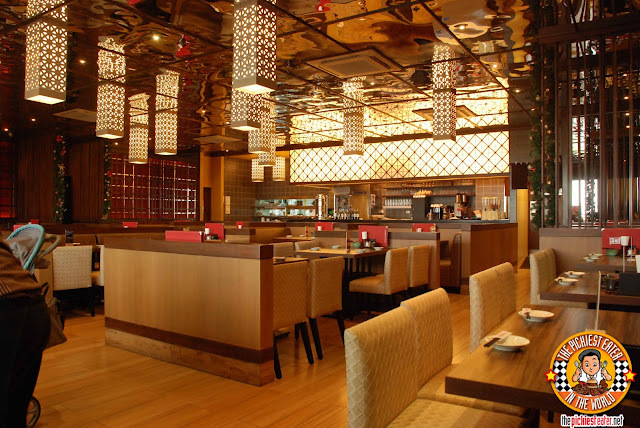 Though they do have the classic Japanese dishes, perhaps certain dishes have different twists from their original version, which is all part of the fun when you dine at Watami. 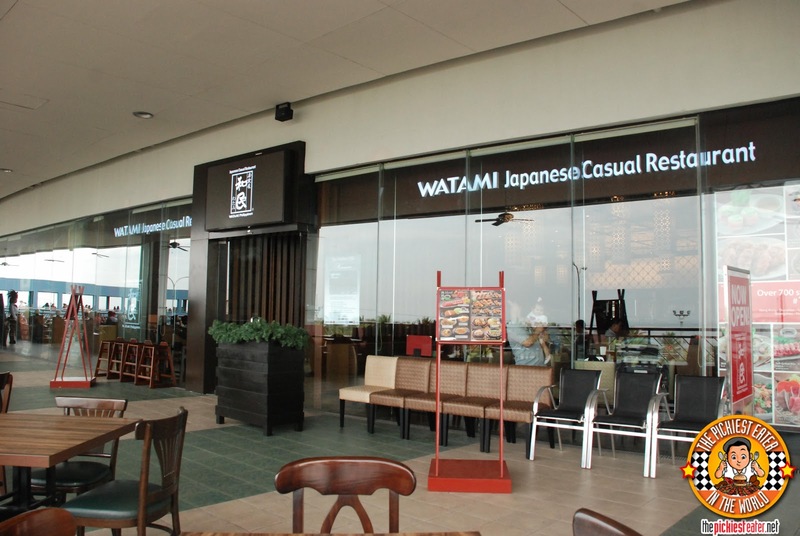 There are over 700 Branches of Watami all over Japan, so think of it as their version of "Gerry's Grill" or "Chic-Boy", except there they serve Japanese food. Which of course in Japan, is known only as "Food". 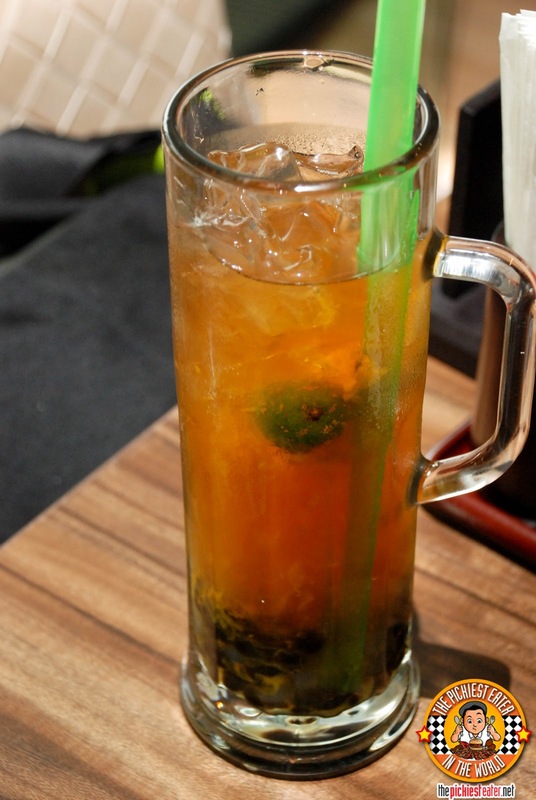 Rina began her meal with the Green Citrus Green Tea (P145). Green Tea isn't really my thing, (unless it's C2 Apple hehe) but Rina is really into it. However she didn't really enjoy this so much. In the bottom of the drink, there were some sort of hard seeds or pearls or something that she found a bit strange. Me? 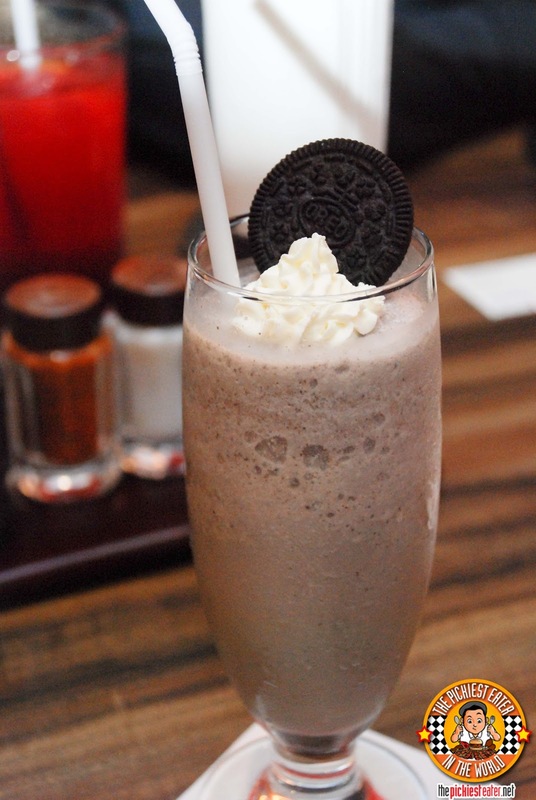 I played it safe and ordered a Cookies and Cream shake. It was nice and creamy, with a great balance of chocolate and whipped cream. And to top it all off, they topped it off with an Oreo Cookie! Something that really intrigued me among the appetizers was the Potato Rice Cakes. I wasn't really sure what to expect, but I was very pleased with the results. It was still the gelatinous feel of a rice cake, but you taste that potato was pounded into it as well. Since it reminded me of Tikoy, it was almost like it was dipped in a light egg wash and deep fried, with a drizzling of a sweet sauce on top. The cakes are topped off with spring onions, and just for good measure, you are given two squares of butter for you to add.. Which as you can imagine, I more than willingly did. All in all, this was a nice way to start the meal. 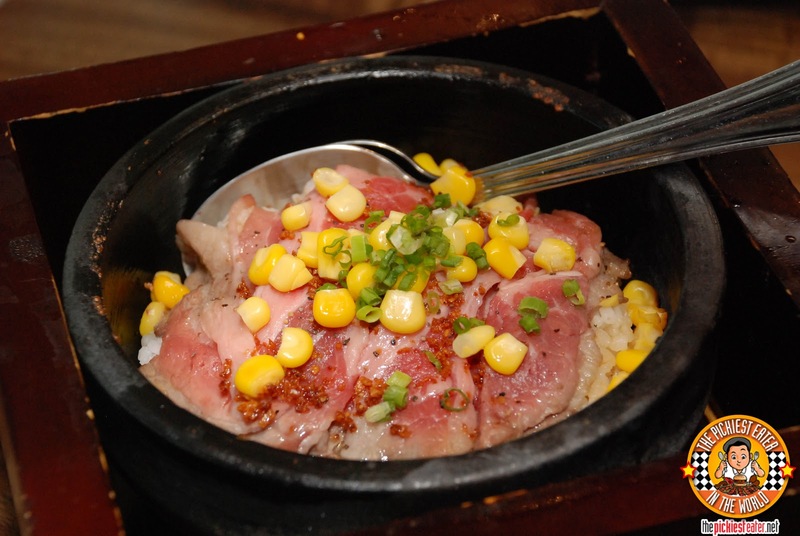 Not too heavy, and the flavors won't overwhelm your taste buds, and you'll be raring to go for the next dish! 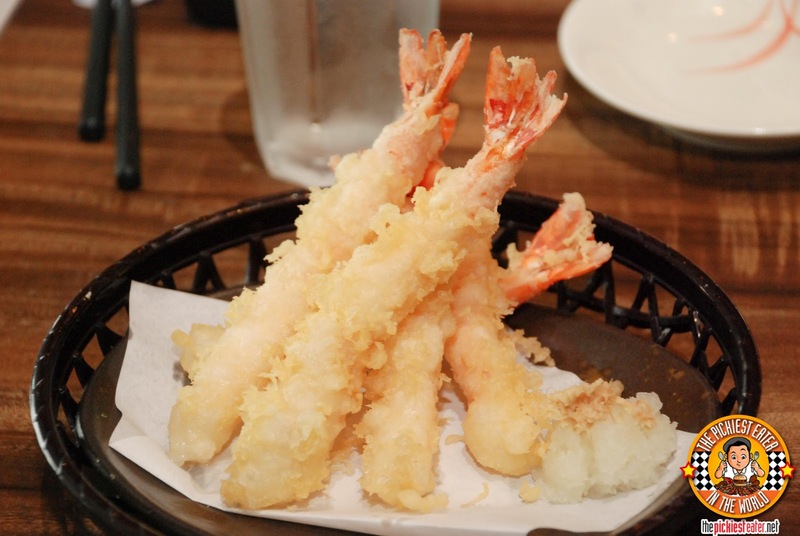 The very first thing I ordered was Rina's required, Shrimp Tempura (P305). The first thing I noticed was that the shrimp wasn't as plump as other Japanese restaurants I've been to. Apart from that was coated magnificently in the Japanese breadcrumbs, and deep fried just right. It was no doubt, good shrimp tempura, but a couple of notches below it's competitors. We hadn't gone to Pepper Lunch in quite awhile, so it was clear that Rina was going to order the Pepper Beef Rice In A Stone Pot (P190). 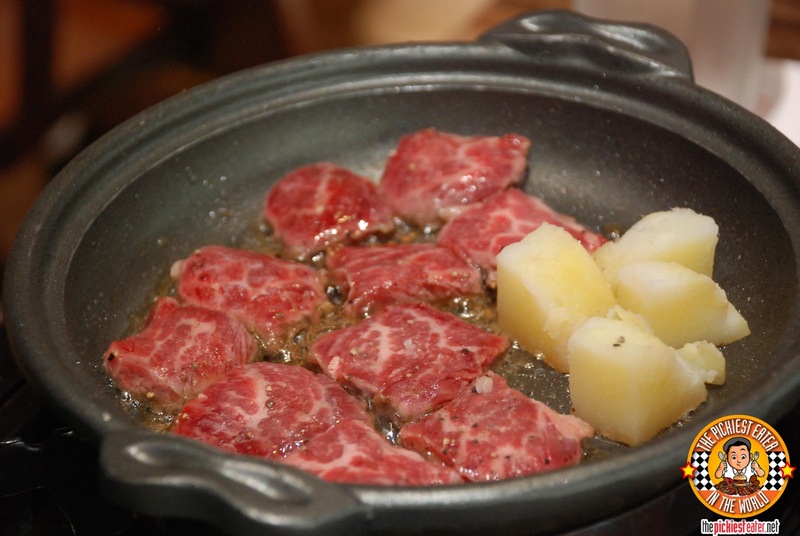 Like Pepper Lunch, the dish had raw slices of beef that would cook right before your eyes, however unlike Pepper Lunch, Watami utilized a Stone Pot instead of a sizzling plate. And unlike Pepper Lunch, which has become known for its "Do It Yourself" experience, our adorable attendant, Shy, was insistent that she help prepare it for us, the Watami way. I'll be honest. If I had never set food in Pepper Lunch before, there's a chance I'd be doing triple backflips about this dish (I would have probably hurt my back in the process, but I imagine the attempts would have been fun for Rina to watch). But since I've experience the magic of their Pepper Beef Rice, I can safely say that Watami's version is delicious and I enjoyed watching Shy prepare it for us. It was a good alternative to Pepper Lunch, but at the end of the day, although they did put up a great fight.. the sizzling plate beats out the stone pot. Though the dish is good as is, perhaps a good suggestion would be giving a side of different sauces (Teriyaki, soy, etc) to add to the dish? 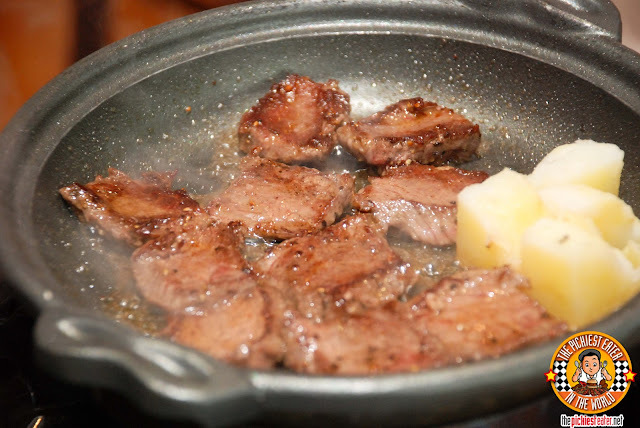 While Rina we went at the Beef Pepper Rice, Shy placed a little gas burner on top of our table, followed by a cast iron skillet. 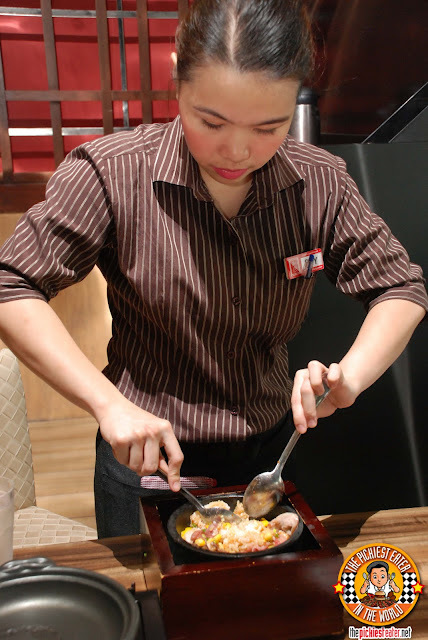 She then brought out a plate of the Self Grilled Short Ribs (P295). I'm no butcher, but even by the color of the meat, you could tell you were getting fresh beef, with gorgeous marbling on it. Despite the fact that the name on the menu is "Self Grilled", Shy once again take over the reins, and cooked the meat for us. Well.. Not exactly cooked it, but she was the one that placed it on the skillet and flipped it over from time to time. As the beef continued its sizzle, the fat on the beef melted into the meat, giving it an uncanny juiciness and the tenderness could not be faulted. Bits of diced potato comes with the beef and is cooked on the same skillet, giving it an even more savory flavor. Another star of my meal that day was undoubtedly the Chicken Cutlet with Scrambled Egg Sauce (P285). I won't lie to ya.. I was hesitant to order this at first. 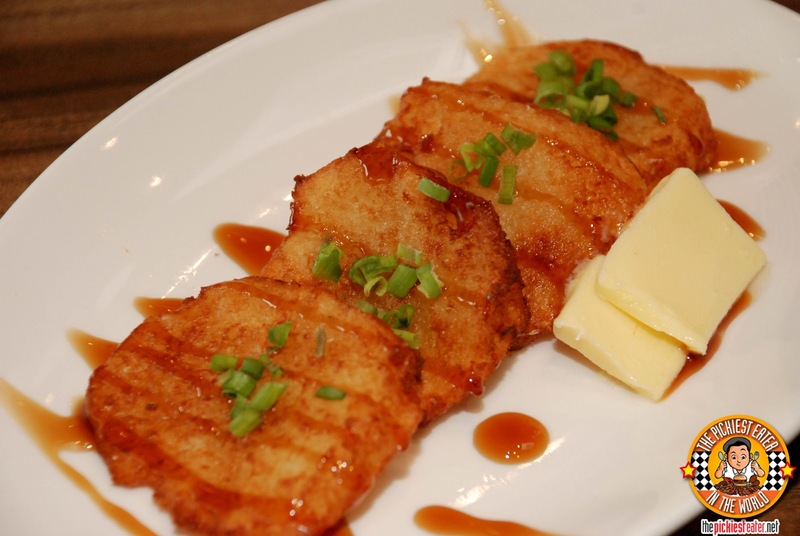 I was thinking that it was similar to a Chicken Katsu.. Something I could probably get at Yabu. But for some reason the words "Screambled Egg Sauce" really caught my attention, so I decided to give it a a whirl.. and boy was I glad I did! After I we demolished the short ribs in record time, Shy replaced the old empty skillet with one that had a beautiful fried chicken cutlet in it. Though the cutlet was already pre-cooked, she fired up the stove again and let the Chicken further cook some more. Hearing it bubble was starting to make my tummy growl (and I.. I mean.. WE had just finished eating a platter of Short Ribs). 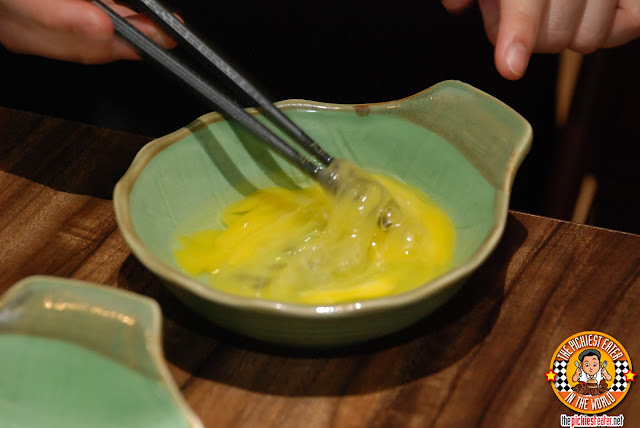 .. And poured the mixture over the chicken and around the Skillet.. As it sizzled, the egg slowly cooked until created what would be known as "Scrambled Egg Sauce". 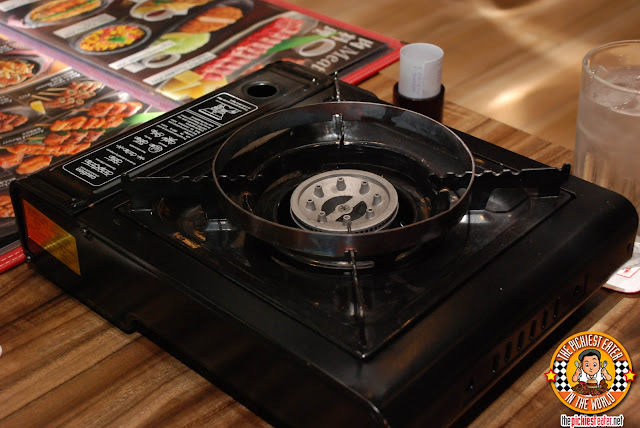 FROM WATAMI JAPANESE CASUAL RESTAURANT from richiez168 on Vimeo. The cutlet was outstanding. It was soft in the inside, with the exterior letting out a fantastic crunch, despite being soaked in the egg sauce. If you look at it in the menu, for some reason it's under the "appetizers" section.. But don't be fooled. 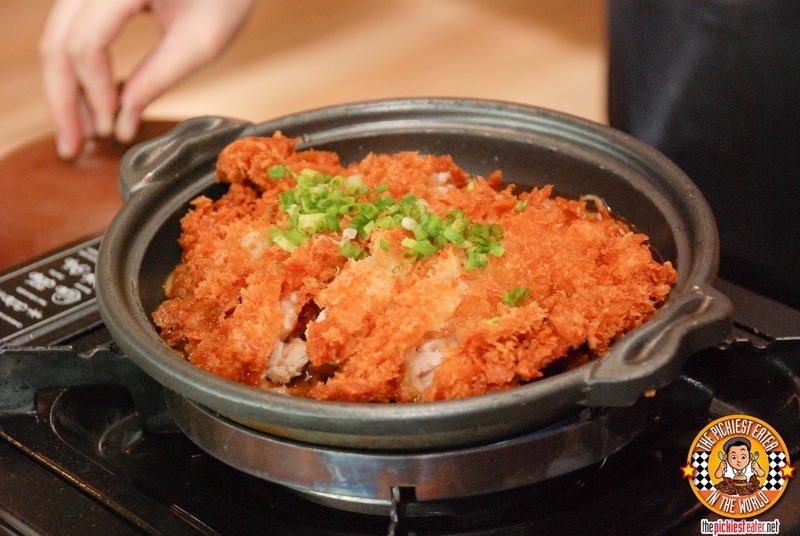 All you would need is a scoop of rice, and this dish could very well be a meal in itself. Rina and I really enjoyed my first trip to Watami. In true Bistro Group fashion, the service, Shy in particular, was amazing, with every single request done promptly and with a little bow afterwards! Along side Ma Maison, Watami is the more price-friendly restaurant. My friend Jamie that works around the MOA area has made this a regular place to eat at! 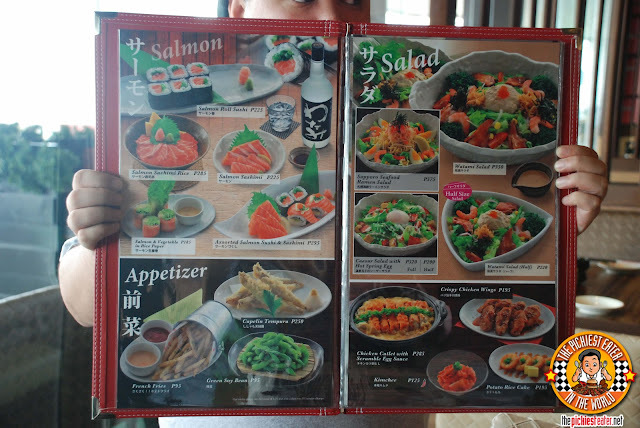 Stay tuned for Part II, when I visit Watami's Glorietta branch for even more extensive look at their menu! Haha ang bango talaga di ko na kayanan!! My partner and I were just at their glorietta branch last thursday... 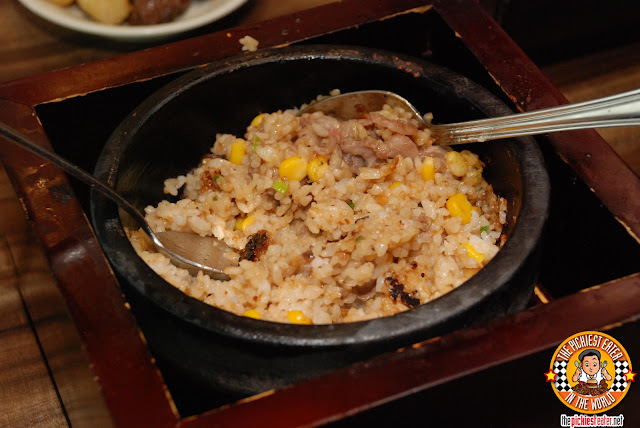 I couldn't agree with you more on the pepper beef rice: PEPPER LUNCH DOES IT BETTER! And just like you, I also believe that they should have some kind of sauce to go with the dish. I still liked their version though and would have given higher points to them if I hadn't tasted pepper lunch. My partner got their pork tonkatsu and liked how thick and tender the pork was. But again, Yabu and Tonkatsuya do it better. 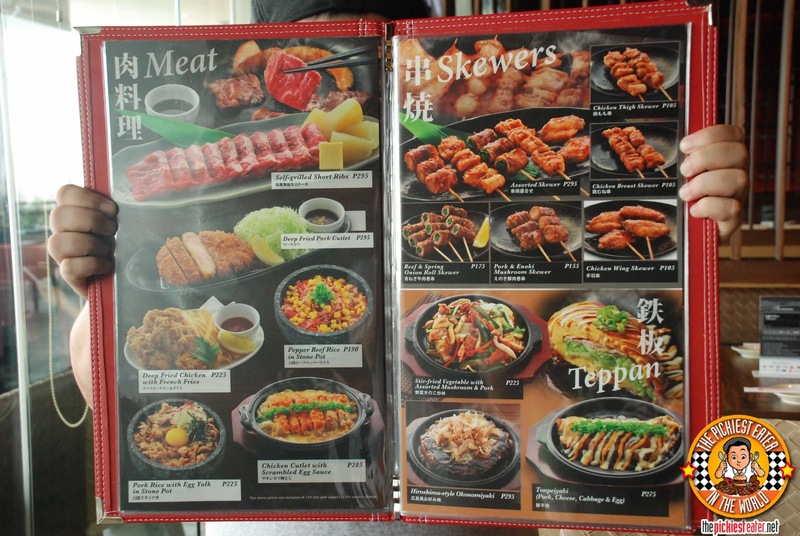 We'd definitely go back for their other dishes... and that chicken thingie is first on our list! 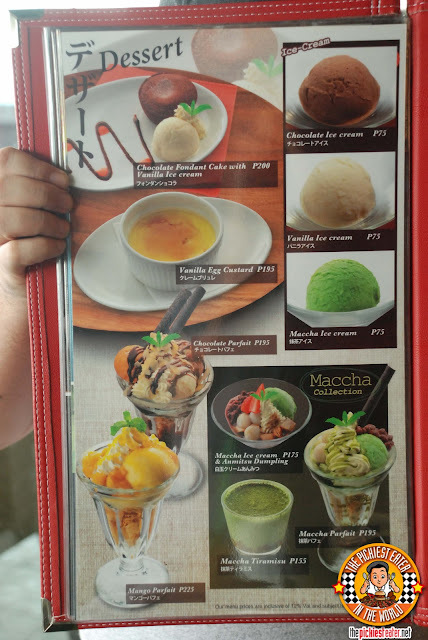 Weren't you able to try any of the desserts at Glorietta, Guia? Did Rina, Ray and Spanky finish it all again??? Let's go when you come back Meedge! I agree that Pepper Lunch is better when it comes to beef pepper rice, although the dish did smell amazing. 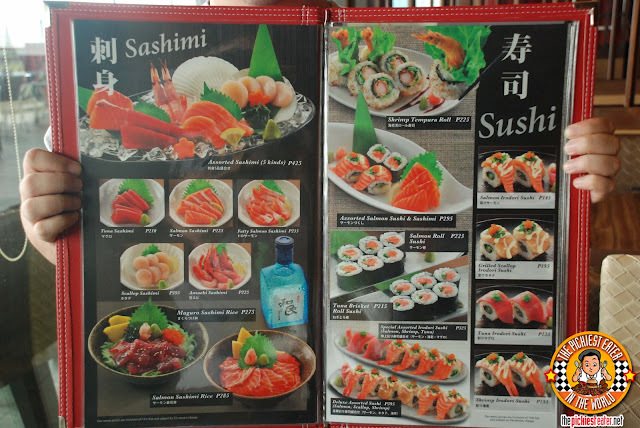 The sushi was pretty good, too but my favorite part about Watami was the price :)) Not my favorite Japanese restaurant, but still not bad. Haha! I love your facial expression there. Is the food really that good? Wow. If you're into asian food, you can also try the BNK Buffet in balanga, they have asian cusuine here at very affordable prices and eat all you can too! For me, THAT dish in particular was pretty fantastic! I'm gonna be doing another more extensive post on Watami soon! I Checked out Bnkbuffet! I loveee asian food! My question is, where is balanga?